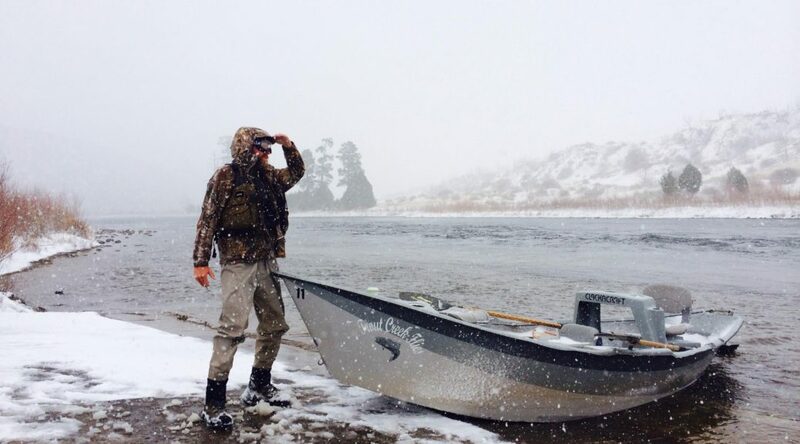 Winter has arrived and the snow is blowing up on the Green River in Utah. 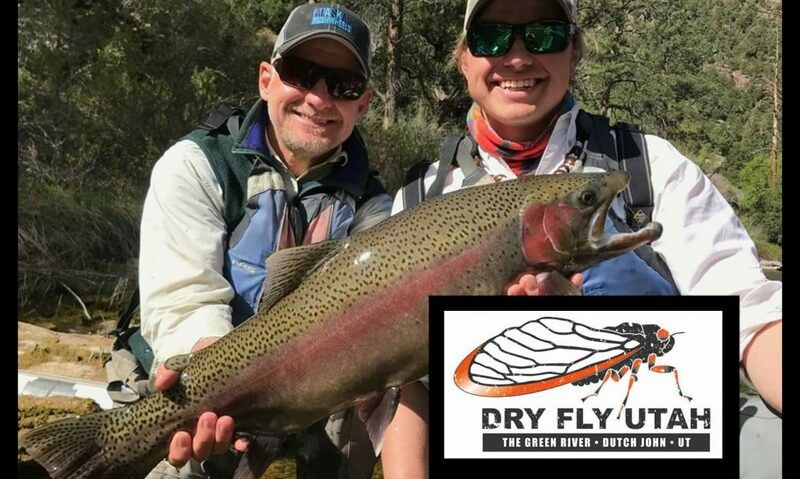 Guide Wade Isaman and his buddy Dylan were not afraid of the cold and headed out to huck some streamers during the Brown spawn. 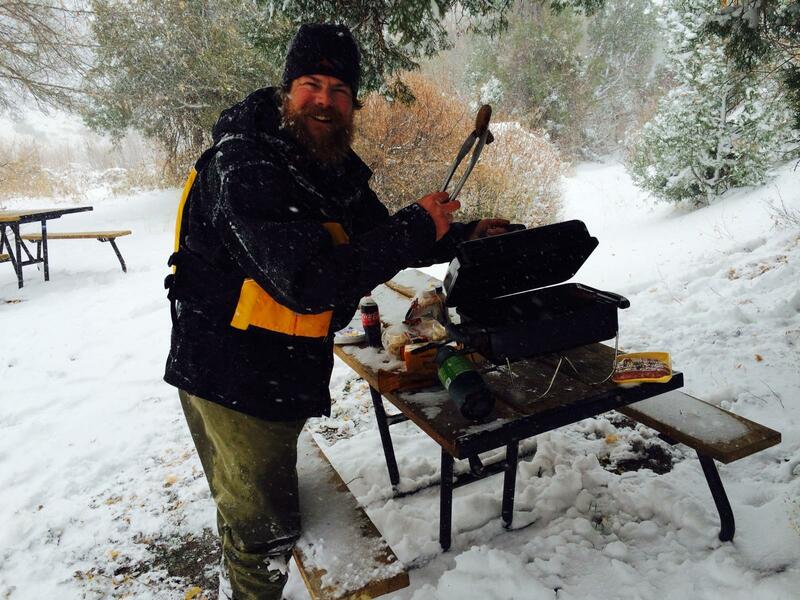 They broke out the grill and had a blast- bundle up and get out there! 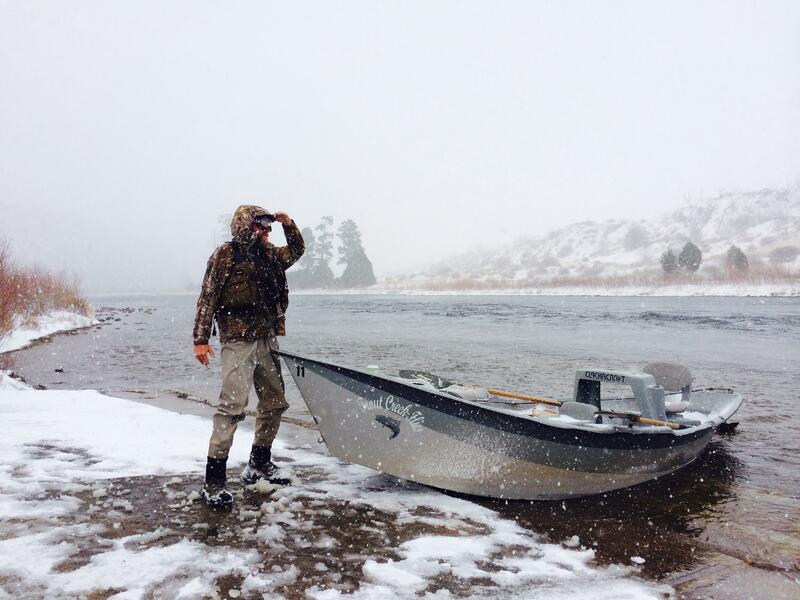 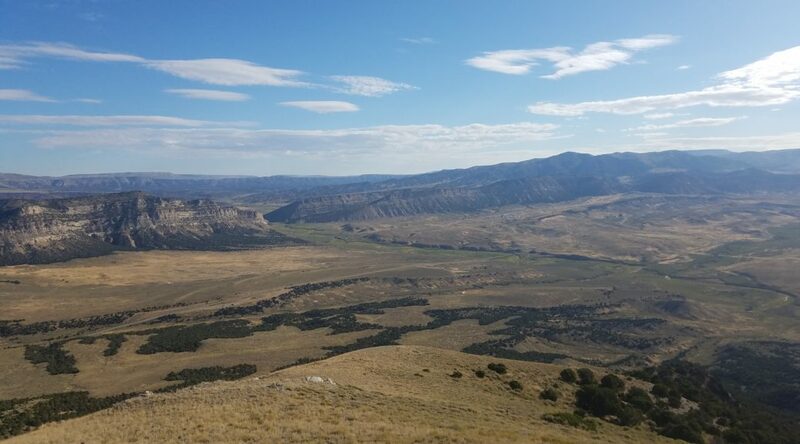 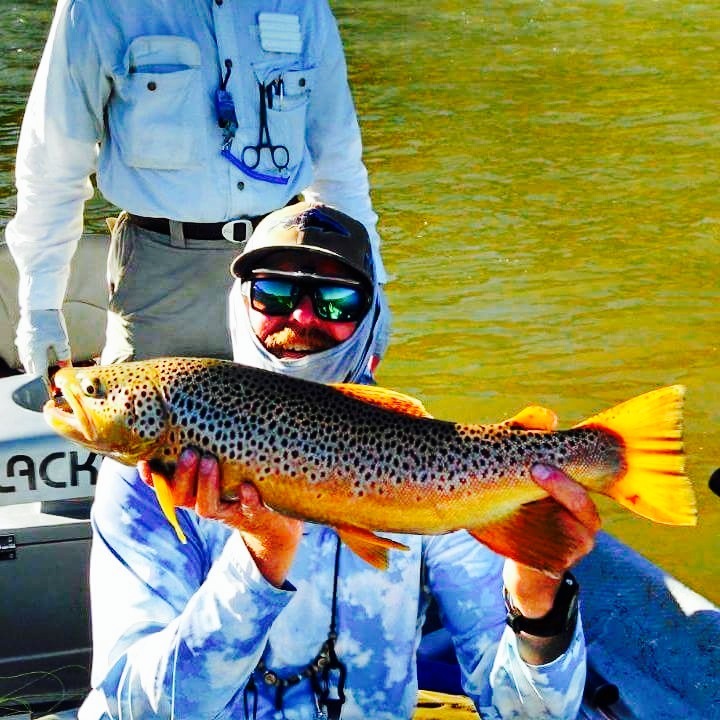 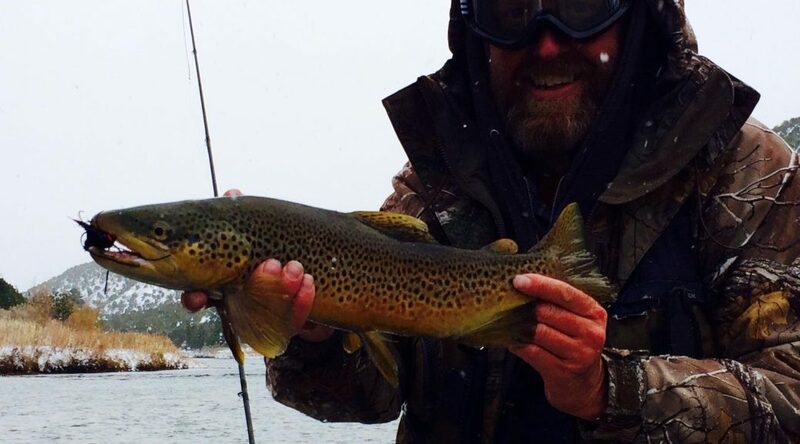 The fall is a great time to fish the Green River below Flaming Gorge Dam. 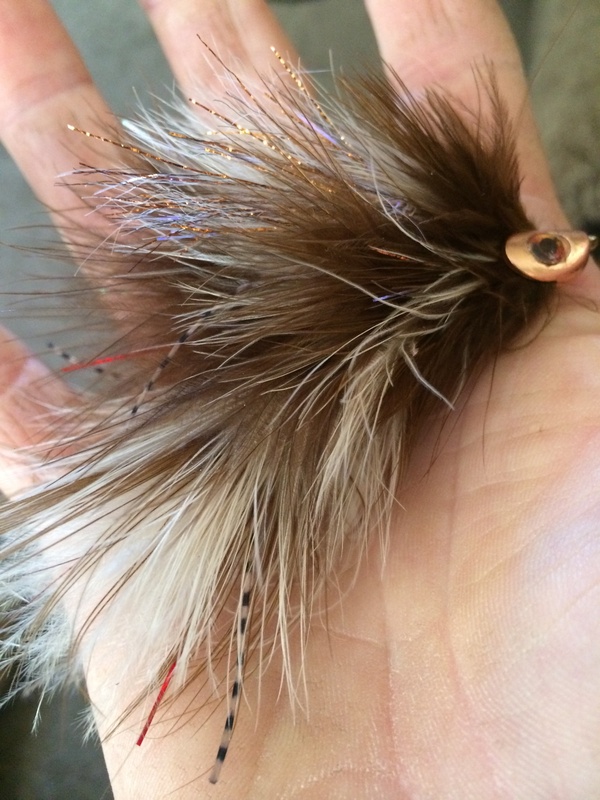 During these cloudy October days try an articulated streamer in various colors, like this brown and white one tied by Guide Wade Isaman.